I have never tried a dry shampoo and never really understood its specialized category until this year. 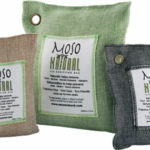 Standard shampoos, conditioners and styling products can strip scalp and hair of nutrients and essential natural oils. That is why we are often told not to wash our hair daily. 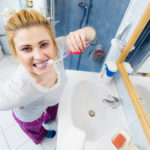 Imagine washing your hands daily with a harsh detergent and you will get a full picture of the damage done. Dry shampoo has become the perfect “go to product” to use after a gym workout or yoga class, while camping or traveling or simply as a backup for emergency situations. Loyal users choose dry shampoo for many reasons beyond the healthy hair benefits. The consensus for the dry shampoo choice is a combination of flexibility and freedom. Flexibility to control excess oil and dirt and to add body and texture when time and water are at a premium. 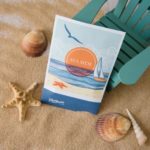 Freedom to use as a preferred alternative to mix up the usual hair care routine, giving your hair a needed break/mini-vacation. All dry shampoos are not alike. The variances can be significant in terms of formula, ingredients, scent, application and cost. It definitely came in handy during the recent hurricane in Florida when water service was out for a few days. Dry shampoo also helps to keep your hair beautiful and often prolong costly “hair updos” keeping styling intact, essentially “locking in your locks”. So for a special occasion, the product can be a lifesaver when you can’t afford to make a return salon visit. 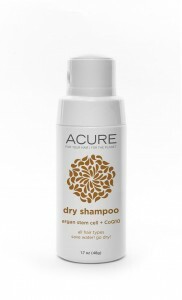 ACURE Dry Shampoo is a stand out. ACURE Organics is a family-owned brand dedicated to delivering all natural products for discerning and eco-conscious consumers. I love the packaging. The container bottle is the size of a vitamin bottle; small enough to tuck in your purse, briefcase, gym bag or carry-on. The application is a simple twist of the top to open. Then shake out the powder and spread evenly throughout hair with a brush or hands. The shampoo really works at adding a touch of volume. My strands feel stronger…thicker. I like to turn my head upside down and add a sprinkle on my under hairs for a little extra fluff. Unlike inferior dry shampoos, ACURE Dry Shampoo never leaves an unsightly white residue and is formulated to work with all hair types and hair colors. ACURE’s special complex is keratin-rich featuring Argan Stem Cells and CoQ10. The result is a moisture boost. A dry shampoo that won’t dry out your hair. ACURE Dry shampoo was created with sensitivity in mind. No preservatives, artificial colors and never tested on animals. A No Brainer …helping all Divas stop the chemical cycle of hair damage. For more product and “where to buy” information, visit ACURE Organics website.